If you live and work in this world, this open letter is addressed to YOU. 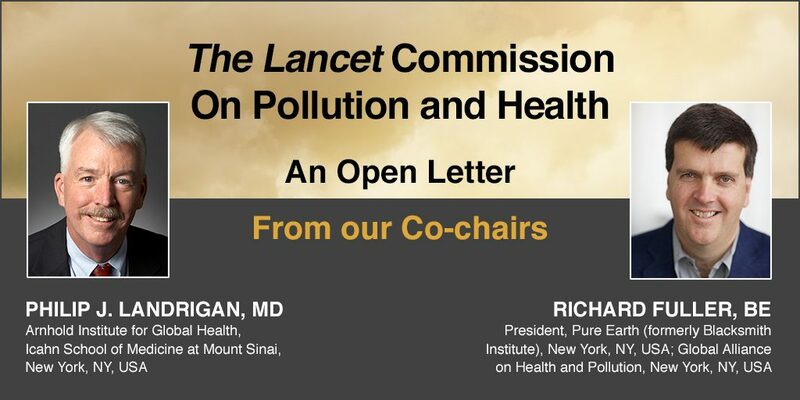 The open letter–It is time to put pollution on the map–is an urgent plea from Richard Fuller, President of the nonprofit Pure Earth (and Great Forest), and Dr. Philip Landrigran, one of the country’s leading health advocates. 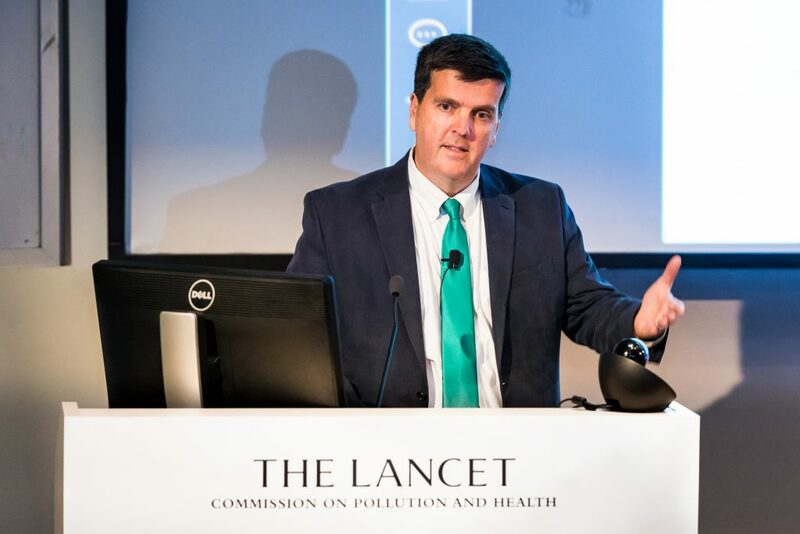 They are co-chairs of The Lancet Commission on Pollution and Health, a global initiative that comprises many of the world’s most influential leaders, researchers and practitioners in the fields of pollution management, environmental health and sustainable development. Just published, the Commission’s landmark report details, for the first time, the deadly toll and price tag of global pollution. The findings of the report are shocking — pollution costs $4.6 trillion in economic damages and kills over 9 million people a year. The report has made news worldwide, reaching over 800 million people and counting. The world is finally learning the awful truth about pollution, and how it intersects with sustainability, climate change, and many other sections of all our lives. Now what we all do next matters. Businesses, governments and individuals. The letter explains why. Please read the open letter, and share it widely. It could be one of the most important things you do this year. Great Forest proudly supports the nonprofit Pure Earth. A portion of our profits go towards cleanup efforts in some of the world’s worst polluted places.